I never thought we would get excited about, let along plan to do, the whole market garden thing. But while I’m all for no-dig polycultures like our domestic-scale kitchen garden, I’m also a pragmatist. 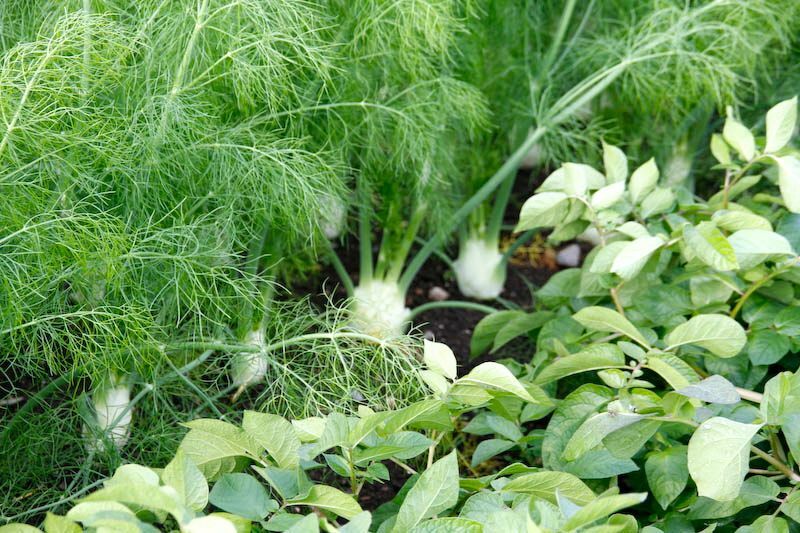 These days, we need more vegetables than we currently produce, especially from Spring through till Autumn. Way, way more. So I figure we’d better get ourselves into gear and learn how to grow ’em. Here at the farm we have a highly oscillatory pattern of needs, when it comes to food. From May until August, in the winter months, it’s just our little family here. Our domestic food supply is easy to mostly supplement from our basecamp kitchen garden and our family’s wiltipol lamb, with additions from local friends. However, from September through to April, we now have many more mouths to feed. To start with, there’s interns and wwoofers. 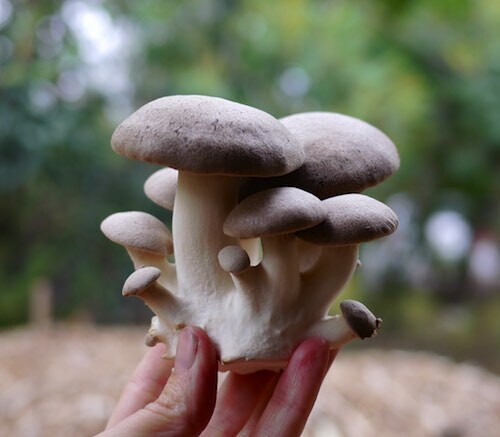 On top of that, we’re now regularly running on-farm courses of every type imaginable – holistic management, food forest design, biofertilisers, permaculture design, beekeeping and so on. The reality of having all those people on the farm for short periods (3 days up to 2 weeks, depending on the course) is that our food needs oscillate wildly from week to week. But any way you look at it, we need a lot of food. Good food. 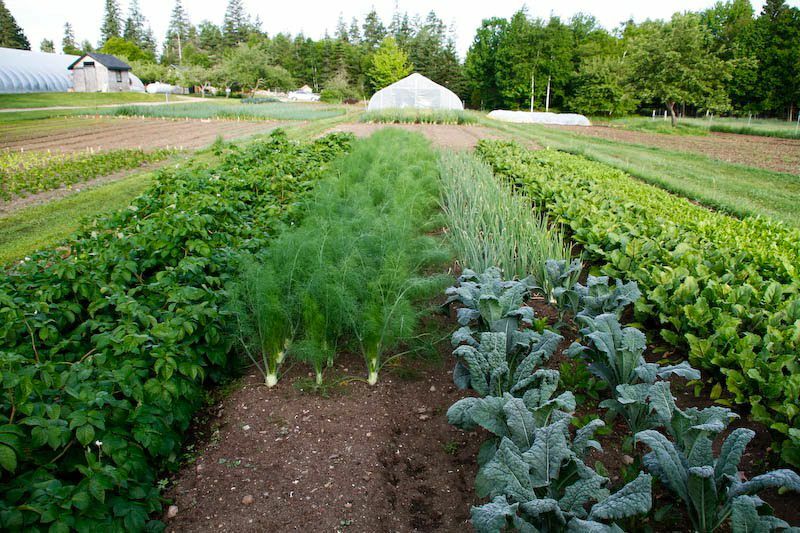 And, ideally, food that is primarily grown here, at the farm. Up until now we have been able to supplement the massive amount of food inputs with our own lamb, and sprinklings of our own vegetables from our basecamp garden – herbs, a pile of potatoes here, a scattering of silverbeet there. All very lovely and encouraging as a gesture, but when you come right down to it, we’re importing the vast majority of our food. And I want to stop. The reality of this situation really sank in during last summer when we had a cook come in to cater for our two on-farm PDC courses. Before this, I was in charge of supplying and cooking all the food for PDC courses – 30 people for two weeks, three meals a day – and I was in such a whirlwind that I never really sat down to evaluate how much we used. But now that someone else was cooking, I was relegated to food supply only . And I began to realize just how much food we went through in 2 weeks: 40kg of potatoes, 65 lettuces, 12 watermelons, 36kg tomatoes, 48 zucchinis and on and on and on. And that was just one course. Wow. Start with supplying your immediate needs, Joel said. Which in the case of this place (Milkwood), is sorting out all that food you guys buy in for course catering here. Figure out how to supplement whatever your basic costs are, and take it from there… you’ll figure out what to do next as you go. Hmm. Okay, I had thought of that, but I was hoping that growing enough food for catering would just naturally happen somehow through a progression of our kitchen garden. But the reality is that it won’t. 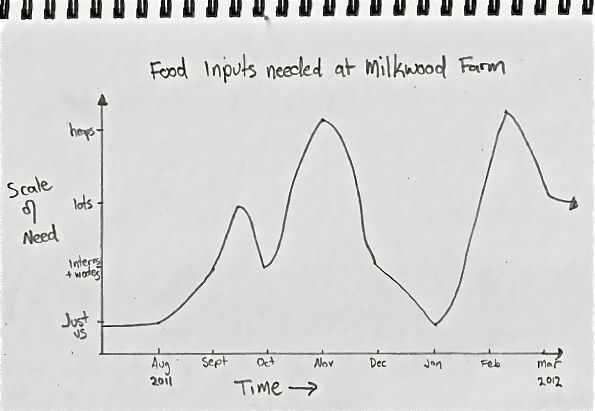 We need to apply a market garden style approach to fulfill the seasonal food input needs of Milkwood Farm. And so we started reading. And thinking, and talking, and planning. 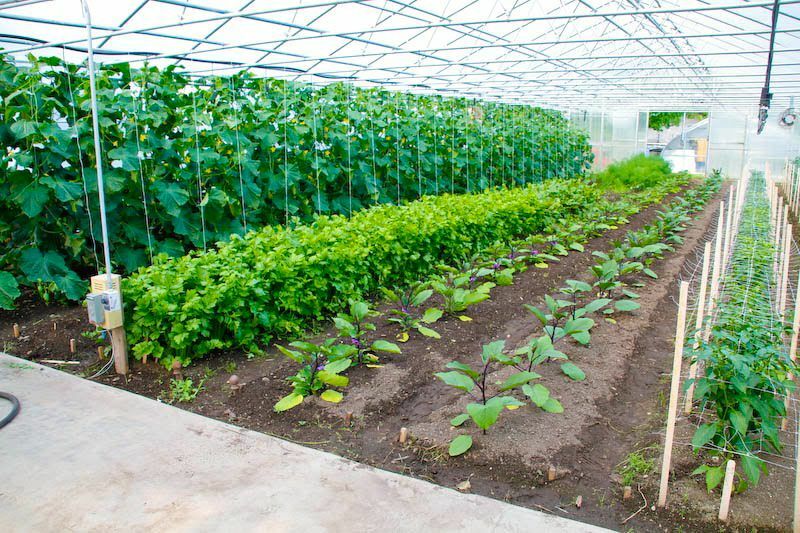 Our parameters are: a market garden to supply as many vegetables as possible for Milkwood Farm’s seasonal needs. 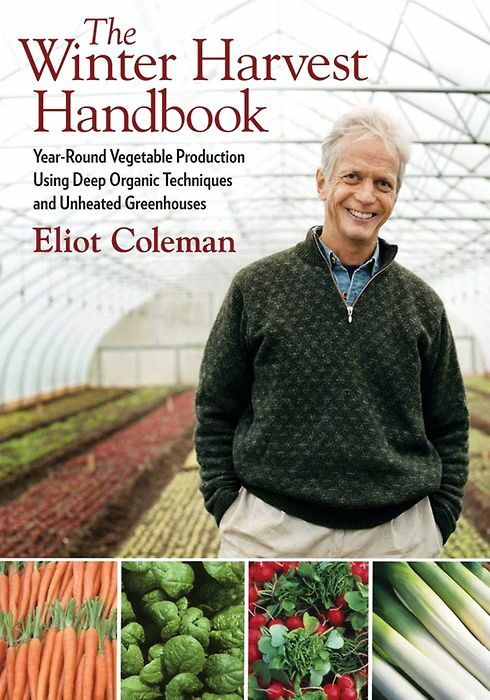 Eliot Coleman is the most rockin’ organic market gardener i know of thus far. His techniques align with permaculture principles, he’s super energy efficient, and he knows his onions. This book has been a great starting point for getting our heads around the psychology of taking gardening from domestic to market scale. 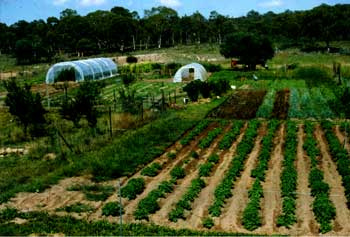 Unlike many market gardens, Four Season Farm has a very large range of produce. We’re not just setting up to produce tomatoes and lettuces – we’re aiming for the lot! So this approach is invaluable to us. This book has got me thinking about a bunch of ways that greenhouses can integrate into small-scale effective market gardening. 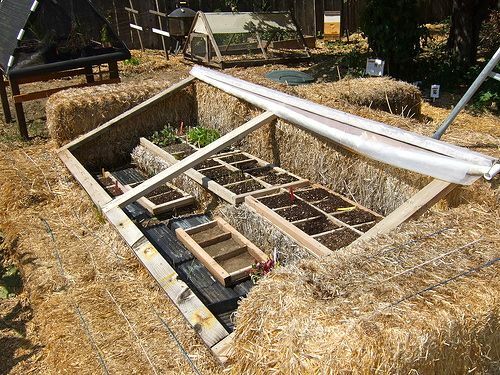 Eliot uses unheated greenhouses and row covers to extend the season of many vegetables in a variety of funky ways which seem plausible to us, given our modest budget and labor availabilities, and our short growing season. There’s also Eliot’s The New Organic Grower: A Master’s Manual of Tools and Techniques for the Home and Market Gardener (A Gardener’s Supply Book) but we haven’t read this one yet. 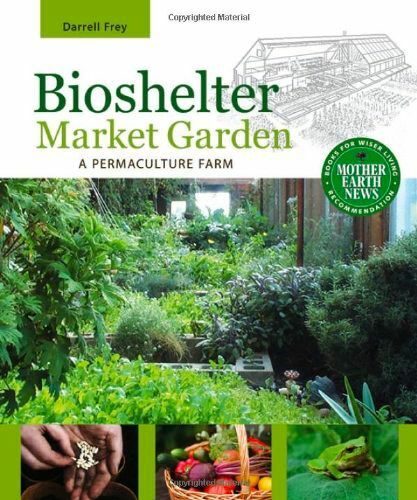 This book has been really important to us for reasons other than we expected: it’s a quasi how-to/narrative about a bunch of permaculture-inspired folks starting a market garden farm using bioshelters. 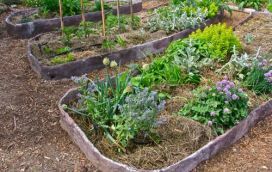 It chronicles the process from starting with only no-dig beds through to a balance of more standard market gardening techniques for some vegetables, and no-dig bed production for others, as suited to the vegetable. Darn interesting reading, especially if you take it from a narrative point of view. 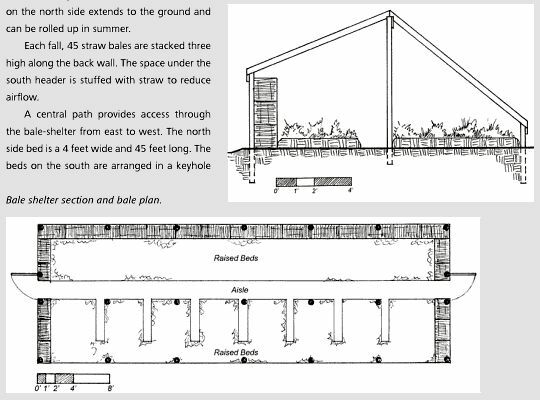 In addition to reading the above books, planning to read many more, and spending many hours considering and pacing out sections of our creekflat in the winter rain, I’m trying to get my head around the basics of planting plans. The Eliot Coleman books have been great for this, as (surprisingly?) have been simple books like Eat your garden by Leonie Shanahan. To keep my spirits up during planning such a daunting project, I’ve been tempering the planning with large doses of pictures of successful, happy farms with market gardens integrated into them. And looking at other young farmers who have succeeded in producing food while managing to have happy families. rawbale seedling-started coldframe thingy. Good idea. Joyce Wilkie and Michael Plane of Allsun Farm down in Gundaroo are not only brilliant market gardeners, but their growing the growers project chronicles many amazing small farms (including PolyFace and Four Seasons) doing just what we’re planning to do. There’s also The Greenhorns, a collective and doco crew in America supporting young farmers, and many other links and resources that I’m finding every day. It’s comforting to know that it can be done. Happily, it looks like we have the excellent help and mentorship of Joyce and Michael of Allsun Farm during this undertaking. 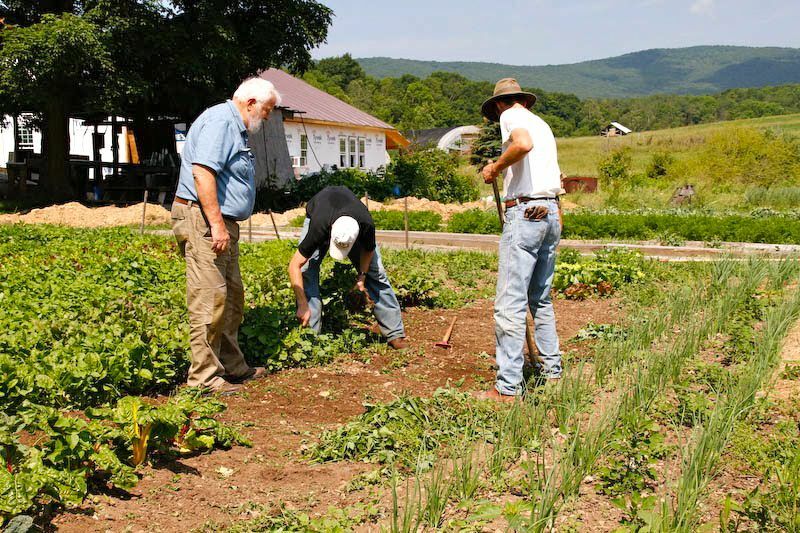 We’ve somehow convinced them to run a course in early spring at Milkwood Farm on how to start an organic market garden, which will run in parallel to our market garden’s setup. We’re also planning to shortly offer a position on the farm for Spring which will be a market garden apprentice. This person will spend time at Allsun Farm prior to getting to Milkwood in September, and then manage the market garden (with help from us and the rest of the on-farm interns, wwwofers and crew) until Autumn under the remote mentorship of Joyce and Michael. Pretty exciting! It’s a big project, but it’s a necessary one if we’re going to take responsibility for the impact and the nutrition of the food we feed our family, our crew and our students at Milkwood Farm. We’re not aiming for self-sufficiency, but we are aiming to be responsible for our inputs as much as we can. Wish us luck! If you’re interested in this market gardening position, we’ll be releasing details very shortly. Please hop on our mailing list at the top right of this page to receive notification of when applications are open. For info on our upcoming spring/summer or summer/autumn internships, go here. [caption id="attachment_1357" align="aligncenter" width="500" cap . . I love the way that you walk the talk, and do the research required. What a great example you are. It sounds as though you are on the right track, and I wish you many bountiful harvests. That is awesome. I am so glad that fellow permies see the need for market gardens. They need to fit in the big picture. I am an Eliot Coleman disciple. 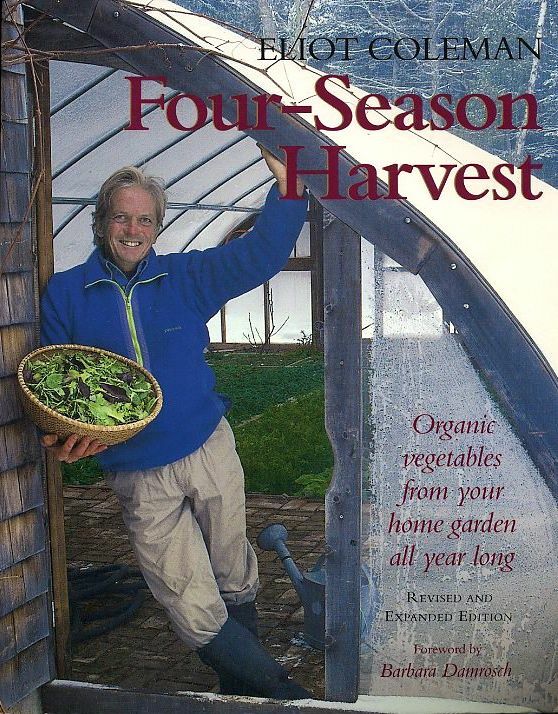 You need to also get his first book “The New Organic Grower”. If you have concerns about bare soil then there is a solution. Eliot advocates “Undersowing” of vegies (Normally done in grain and corn crops). Here is a little article I wrote on it and how to implement it on a small scale. thanks for that link, Daniel – yes, we’re planning to undersow and avoid bare soil as much as humanely possible! yes, recommend them all – good luck! Google “Will Allen” and “Growing Power” for some interesting ideas on what to do inside greenhouses. 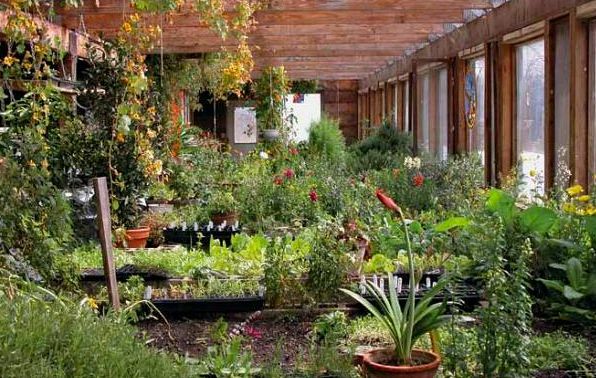 He does aquaponics, worms, composting, growing, etc all in together, using the properties of each to complement the others (e.g. fish tanks for heat storage, compost for warmth, worms for waste processing and fertiliser, etc). It probably won’t apply directly to your situation, since he’s more of an urban market gardener, but his YouTube videos are really inspiring to watch and I’m sure you’ll garner lots of little tips just seeing how things are set up. I know I did! I’m an Eliot Coleman devotee and all of his books, and ‘found’ him via the recommendations of the Allsun crew some years ago. I would recommend Joyce and Michael’s CD-ROM called “Growing Annual Vegetables” as a brilliant resource to get you organised and started, even if you don’t want to do things on as big a scale as they do. 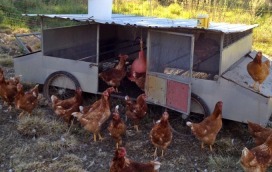 It’s fantastic on tools, planning what you want to produce and working backwards to planting, the use of chickens etc. Also, if you have a chance to attend any of their open days, it’s very worth the trek. Thanks for the great article! I came across it while doing some research for a market garden design that we will be implementing to supply for a PDC running in Pennsylvania in August this year. Would you be willing to share some of the ”on and on and on’s”? I’m trying to get a ballpark estimate of the vegetable quantities required and this information would be super helpful. sure! what’s an ‘on and on and on’? Wondering what some of the other crop quantities might be and an estimate of numbers of plants required to supply such quantities?